Gino Cappelletti attended the University of Minnesota where he played back-up quarterback to All-American Paul Giel for three season. He kicked extra points, but the team did not kick field goals in those years. They did not even practice the play. But as a sophomore, he talked the coach into letting him try a 43-yarder in a tie game with Iowa. He made it, and the Gophers went on to win. In 1954, as a senior, Cappelletti switched to T-quarterback and led Minnesota to a 7-2 record. He was named to the All Big 10 second team, but was not drafted by any NFL team. Cappelletti tried out with the NFL's Detroit Lions after graduating in 1955 but failed to make the team. Cappelletti played quarterback for the Sarnia Imperials of the ORFU in Canada during 1955. He joined Toronto Balmy Beach in 1956, but was drafted into the U.S. Army in mid-season, returning to Canada in 1958. Cappelletti signed with the Winnipeg Blue Bombers of the CFL, but was traded to the Saskatchewan Roughriders, later cut, and went back to the ORFU, leading the Sarnia Golden Bears (the team changed its name in 1956) to the league championship. He joined the Boston Patriots of the newly organized American Football League in 1960. Cappelletti kicked the first field goal in AFL history in the Patriots' opening game against the Denver Broncos. He is the “original Patriot” and perhaps the most recognized figure in franchise history. 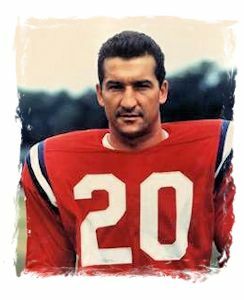 A versatile player, Cappelletti played wide receiver and kicker for the Patriots from 1960-70 and was the Patriots all-time leading scorer until 2005 when he was surpassed by Adam Vinatieri. He led the American Football League in scoring five times and holds two of the top five scoring seasons in league history – 147 points in 1961 and 155 points in 1964, a season in which he named the AFL’s Most Valuable Player. He led the AFL in scoring in 1961 and from 1963 through 1966, and scored more than 100 points 6 straight seasons, 1961 through 1966. Gino retired after the 1970 season and became a commentator on the Patriots' radio network-a position he holds to this day. During his 11 seasons, he caught 292 passes for 4,589 yards, a 15.7 average, and 42 touchdowns. He kicked 342 of 353 extra point attempts and made 176 of 333 field goal attempts for a total of 1,130 points. He averaged 9.5 points per game over a 6-year period. (The Patriots record was 47-29-8 over these 6 seasons) No other Professional Football player has averaged more points per game over a 6-year period; and he averaged 7.5 points per game over an 11-year period, while no other player has averaged more points per game over an 11-year period. Cappelletti accounted for at least 34% of his teams total points scored over an 8-year period. No other Professional Football player has done that. He is the All-Time Points leader in AFL history. 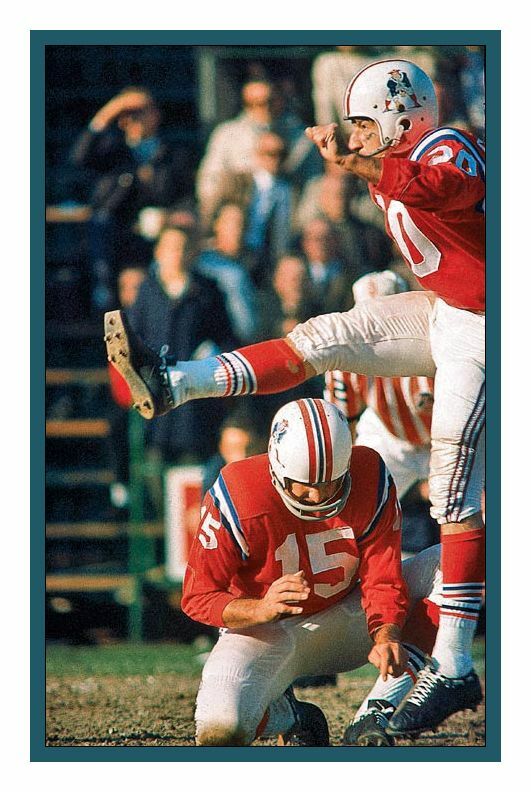 Cappelletti was voted an AFL All-Star five times and still holds the Patriots records for career field goals made. He also remains among the top 10 receivers in Patriots history. After his playing career ended, Gino moved into the broadcast booth with his longtime partner Gil Santos. For the better part of the past quarter century, Santos and Cappelletti have been the voices of the Patriots for millions of New England football fans. In 1992, Gino was inducted in the Patriots Hall of Fame. In 2012, Cappelletti retired from broadcasting.